I’m cleaning up the garage and found a bunch of parts that need a good home. Unfortunately I had to send my ’99 Ranger to the bone yard a few years ago. Motor was shot and body rusted out bad thanks to the Ohio winters. Parts were purchased for a 1999 Ford Ranger 2WD 4 cylinder automatic truck, but will fit multiple years. I will sell the parts separately or as a lot to anyone interested. All parts are new and uninstalled, however, some have been opened for inspection & pictures. Parts have been stored in the garage for a few years. Note that for the brake parts, rotor, and bearing parts I only have 1 side. I changed 1 side of the truck before the motor blew. 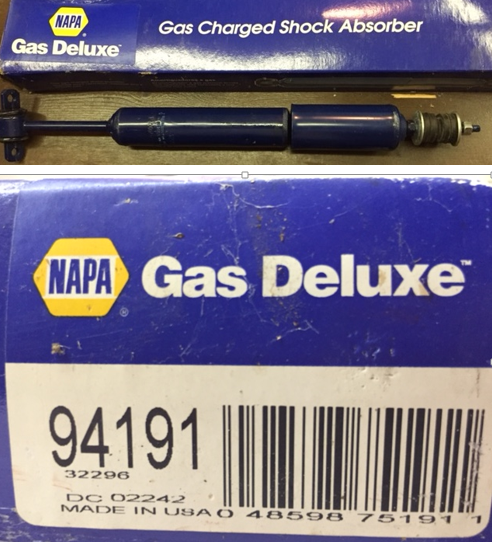 -Napa brakes 38813 brake hose $10+ S&H (sells at Napa for $13.05) – This is the flex hose in the back by the rear axle. If you would like more information or pictures, please let me know. Please feel free to PM me. I am located in Akron, Ohio. been gone 2 years and out of a RBV for 2 years and i'm ready to be back!!! need help!